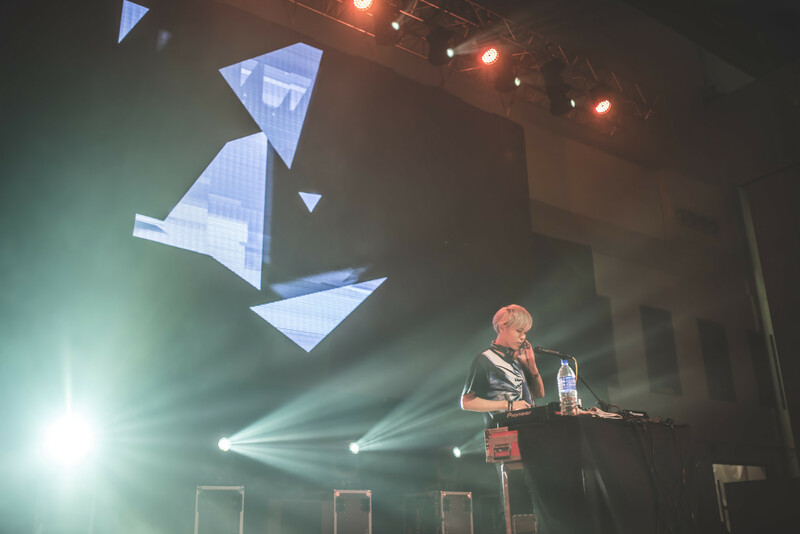 Our team had the chance to interview the famous Japanese singer/DJ, kradness who is known for his killer high-tone voice, which he used to master various genres such as EDM, rock and pop! He started his career in YouTube and Nico Nico Douga where he uploaded videos of himself singing online. He recently released his new album, ‘MIND HACK’ on the 7th of September 2016. Q: Is this your first time in Malaysia? How does it feel like compared to Japan? K: Yes, it’s my first time. It’s currently mid-winter in Japan and it’s really cold there. Malaysia, on the other hand, is very warm and I got to swim in the hotel’s swimming pool which made me very happy. The food is great and I especially love satay. Q: Have you tried durian? K: I’ve not tried the actual durian, but I’ve eaten durian pancakes. The smell is a little difficult to register but the taste was fine. Q: How did your name, kradness, come about? K: It came from the English word, ‘darkness’. Darkness sounds very depressing so I flipped the ‘dark’ to ‘krad’ so that it has the opposite meaning as I wanted to make it brighter and give a fun image. Q: What’s your source of inspiration when it comes to producing songs? K: It’s not really an inspiration but it’s a lot easier for me to become inspired in the middle of the night. Sometimes, all of a sudden, with no explanation, the melody or lyrics just formed in my head. During the afternoon, let’s say around 3pm, it’s much harder to create music, no matter how hard I try. Q: What type of music did you listen when you were younger that shaped your music today? K: When I was younger, I was a big fan of anime and games, I listen to a lot of game soundtracks such as the soundtracks for Final Fantasy, Chrono Trigger. Overall, games produced by Square Enix, the soundtracks are particularly impactful for me. 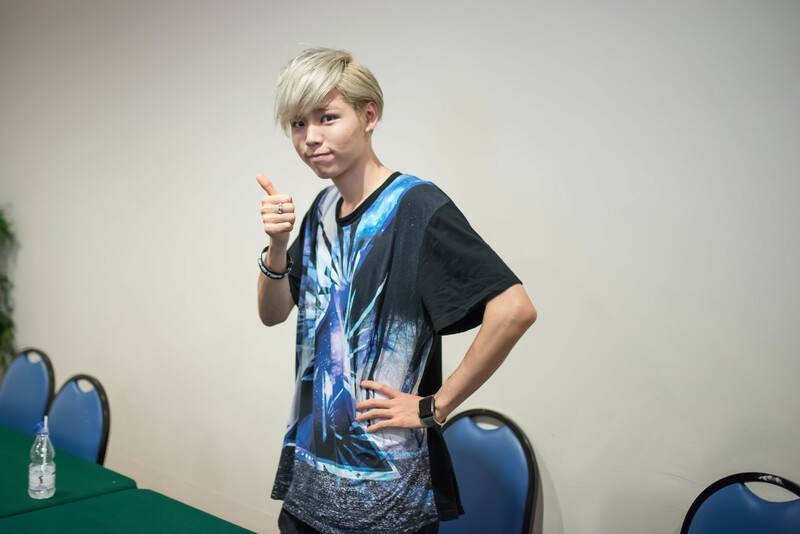 Q: How did you come across Nico Nico Douga and start your career as an utaite? K: I knew of Nico Nico Douga from the very beginning, since it was very popular in Japan and also from my older brother who was really good at using the Internet. 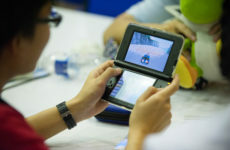 I became very interested in it as I could watch many videos of animes and games. From there, I discovered that there was a category for Vocaloid and also that there were people covering Vocaloid songs, called utaite. That made me realise that even normal people can actually participate and sing, and it made me wonder what would happen if I were to upload my own video. From that point, I started my career as an utaite. Q: You have a gaming account called Krad Gamers. How did that start and what games have you been playing recently? K: Even in Japan, there are quite a lot of websites that allow us to stream and upload videos and the one I’m using is called openrec. They approached me, asking me if I would be interested in doing a show where I play games. Since I liked games, I decided to join and it was very interesting. Recently, I’ve been playing ‘The Last Guardian’. It has very nice visuals, it feels like I’m watching a movie when I was playing it. Q: How about Final Fantasy XV? K: Not yet, as I’m quite preoccupied with ‘The Last Guardian’. I’ll probably play that when I’ve finished my current game. 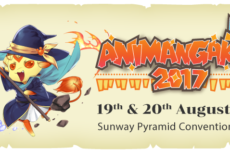 Q: What can we expect from you during your performance in Comic Fiesta? 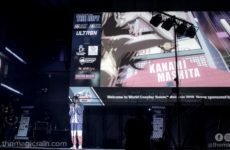 K: Since it’s my first time performing in Malaysia, I really want to have fun with the audience and I’m going to be performing songs from my Nico Nico Douga days, and a little bit of DJ-ing to hype the audience up. I hope that my audience will have fun with me. Q: Is there any particular utaite that you look up to? K: There’s an utaite called UN;C on Nico Nico Douga. I’ve been doing this for six and a half years and my specialty is my high-tone voice. So, I really admire utaite/singers who can use high-toned voice to sing and UN;C is one of them. In a way, he’s a senior, we did performances together and he’s a close friend of mine, so he’s very special to me. Q: What’s the biggest challenge that you’ve faced as an utaite? K: If you understand the culture of Nico Nico Douga, it is actually very rare for singers to show their faces on the Internet, you usually see illustrations and just hear the vocals. However, in the last couple of years, the culture has been changing and a lot of singers have been revealing their faces. In a sense, it was difficult as I got worried that if I showed my face, my image might be inappropriately used or there might be backlash. I didn’t officially show my face until last year until my birthday where I challenged myself to do something different and showed my face for the first time. It was actually a very good experience and decision because thanks to that, I got a lot of exposure as more job opportunities came in. Q: You’re going to be on the XYZ tour –DJ STYLE— 2017, what are your expectations for it? K: I’ve participated in the XYZ tour a couple of times before. It’s a very good experience for me as I got to meet other utaites such as LUZ, and was able to go to different countries like Shanghai, Taiwan, and more. In a way, it’s very refreshing. For the next tour, it’s expected to have the most number of utaites participating and I’m excited for it. I hope we get to go to many different places and have fun together. Q: If you have a chance, who would you choose to collaborate with and why? K: It’s very difficult to choose one (laughs). I’ve collaborated with a lot of high-tone voiced singers and perhaps for a change, I would like to collaborate with LUZ as he has a slightly different key so if we collaborate, it’d be interesting. Q: If you could choose a different genre to do, what would you choose? K: I really like game sound tracks and I’ve done genres like rock and at the moment, EDM since I currently have an interest in it. Next year, I’ll most likely still be focusing on EDM but maybe it’d be an interesting idea to go back to band music (rock) and see if I could use it differently to produce different music and bring it to newer places. 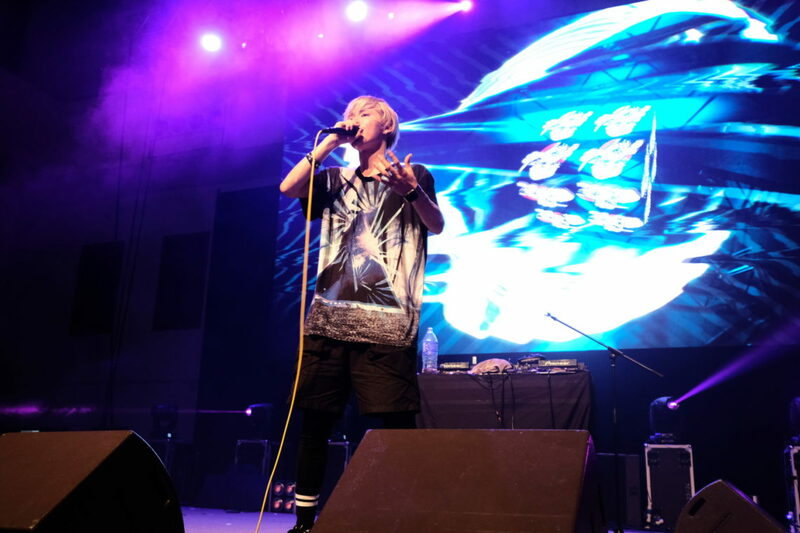 We had a great time talking to kradness and he really showed his prowess during his performance! We all had a wonderful time and we hope that he enjoyed himself in Malaysia too. 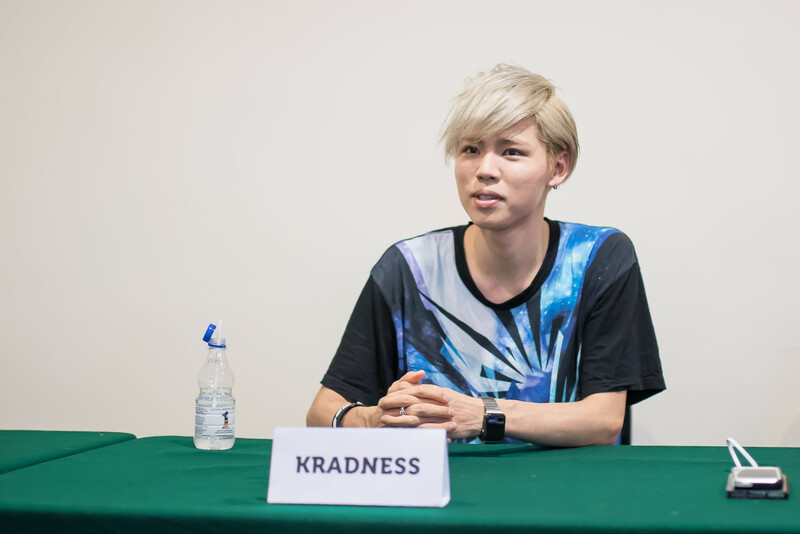 Check kradness out on his official website here and his YouTube channel here!